I seriously struggled for a post title. Does anyone else have trouble coming up with a title? Did you watch the CMA's last night? 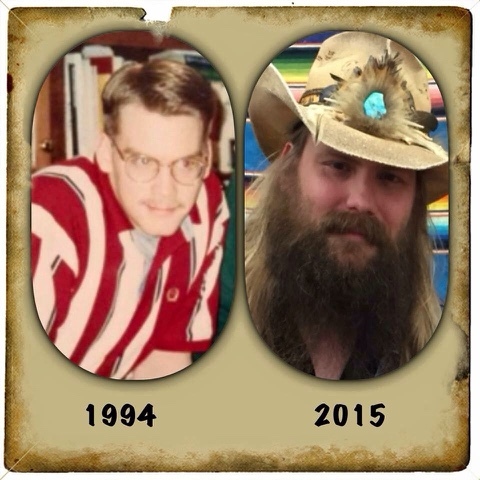 Were you asking yourself Who Chris Stapleton is? Or do you remember my post from months ago when I told you to go out and by his album? I went to high school with Chris. I was between him and his brother in grades. We went to a fairly large school so even though I'd see him hanging out in the choir room which is attached to the band room, I didn't actually know him. My cousin dated his brother all through high school, but since I am not close my family that doesn't mean much. I have been a fan, though, since I heard him sing. In case you missed it Here is him singing Tennessee Whiskey with Justin Timberlake. But really watch this its my favorite song from his album. This is the only video I could find of it. I really urge you to buy the album and turn Whiskey and You up. I don't know why, but I have to hear it LOUD! So anyway, last night he was up for 3 CMA's he won them all. 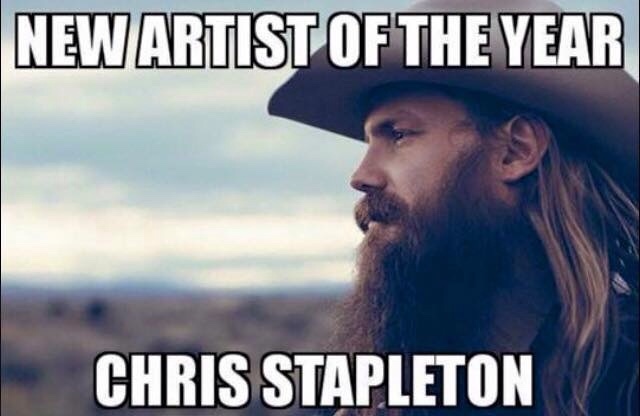 He took home best new artist, album of the year, and male vocalist of the year. You probably know Chris's work without realizing it. He has written a ton of number 1 songs. Drink a Beer and Never Wanted Nothing More are two that come to mind. Even though he is listed as being from Lexington, Ky (which is about 2 hours away from where he actually is from.) Johnson County and all Johnson Central Alum were going crazy last night, bursting with pride for a hometown kid that made it. My children are so sick of me talking about how great this is.